We love a good cocktail as much as anyone. 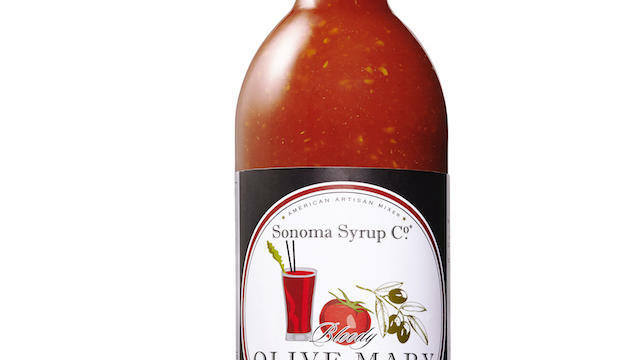 But Sonoma Syrup Co.’s Bloody Olive Mary Mix, made with locally grown tomatoes and three kinds of olives (plus horseradish and cayenne), is so delicious, we like drinking it all by itself, on the rocks. So if you’re looking for the best Virgin Mary, look no further. In case you wonder, though, the Bloody Olive Mary Mix does play very well with vodka too.